I don’t really like the word “survivor”…it sounds like the walking wounded. Some people like the word “thriver” instead of “survivor”. I prefer to talk about “living well beyond cancer”. Today in the US there are 14 million cancer “survivors”. In another five years there will be 22 million. That is a lot of people. No one is prepared to be a cancer patient and no one is really prepared for the treatment, recovery or how to restore and maintain a long and healthy life after cancer treatment. Even 10 years after completing cancer treatment there may be lingering long term side effects. 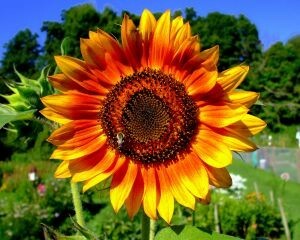 How do you pick up the pieces, get back to feeling like yourself again, and live well beyond cancer? You can be in control. It’s just as important post-treatment to put the right fuel in your body while also protecting against recurrence. 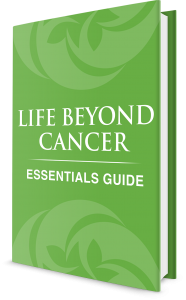 You can download my FREE PUBLICATION: LIFE BEYOND CANCER ESSENTIALS GUIDE here. You may need it for yourself. Even better, share the link with someone you know who needs it too!